It’s been a busy past week for our travelling youth racers who all faced a very mixed bag of conditions across their events. Very windy at the start of the week causing fleets to be held ashore, dropping to much lighter conditions as the week progressed. 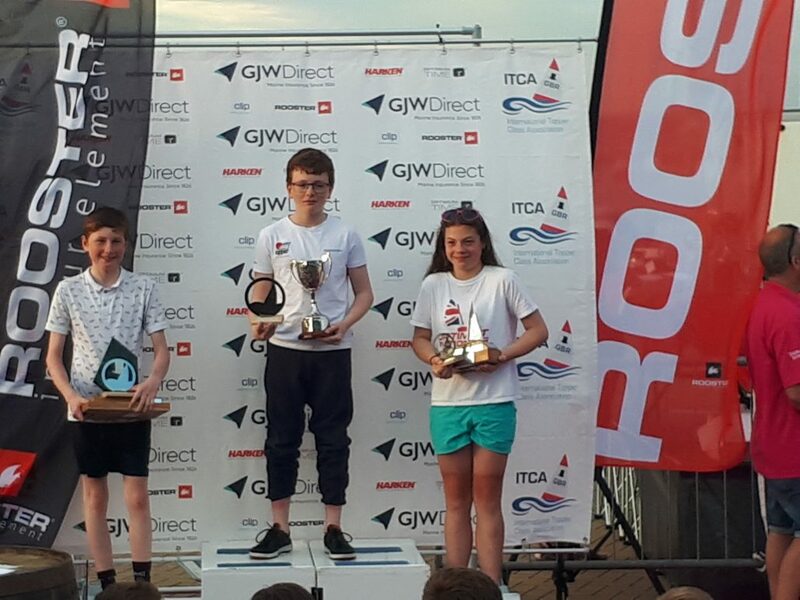 Freya Cumpsty was at Hayling Island competing in the 66 boat 29er National Championships. Noah Sherrif, Giles Griffiths and Ed Neylan all representing CVLSC at the Topper National Championships in Weymouth with an incredible 223 sailors taking part. Noah had a good week finishing mid table in the silver fleet, while Giles and Ed battled in Bronze fleet. Finishing with a 3rdand 4th Ed took the overall Bronze fleet title on the last race of the week.